SamMobile claims to be privy to exclusive information that points to a quad-camera set-up for the upcoming addition to the Samsung Galaxy Note line. This is the same number of rear-panel sensors found in the Galaxy S10's 5G variant. In addition, it is possible that the OEM may change its phablet's naming scheme this year. SamMobile has reported that the Galaxy Note 9's 2019 replacement will have four rear cameras, rather than three as may have been expected from watching the most recent Samsung Unpacked Event. However, this means that it could equal the 5G-compatible variant of the Galaxy S10 for camera module counts. The outlet has made this claim based on information it has apparently received in conjunction with an upcoming device with the model number SM-N975F. 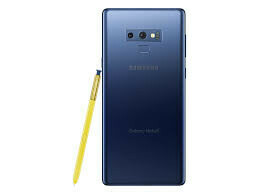 As the Galaxy Note 9 is also known as the SM-N960, it is reasonably plausible that the new number could refer to a Note 10 SKU. Furthermore, the extraneous '5' mentioned may indicate the possibility of a 5G variant in this flagship series as well. The next Galaxy Note's display also has the potential to be particularly large this year: the 5G S10's own display measures 6.7 inches across, and there is no reason the 'Note 10' cannot exceed or at least equal this spec. That's not all to get the Galaxy Note-leak machine going, however. SamMobile has also alluded to rumors that Samsung is going to give this upcoming premium device a refreshed nomenclature this year. This may involve replacing the '10' - or perhaps even the 'Note' part of the original phablet's traditional product title.